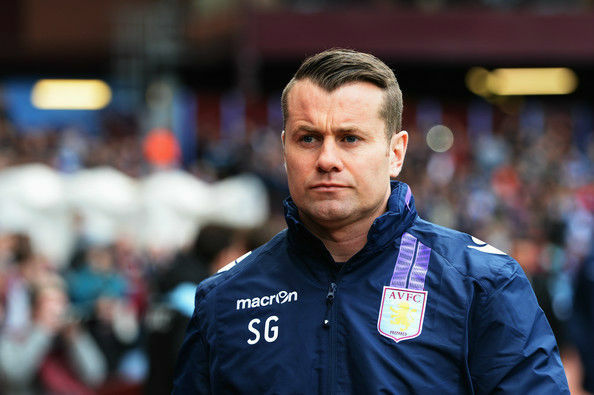 When it comes to goalkeepers, Shay Given is a name which is on everyone’s lips. Apart from his fluid-like goalkeeping ability his Irish tongue-n-cheek sense of humour thrilled fans of the games for many years. Famous for still playing at the age of 40, when many soccer players have long past retired the Irish veteran insists on still being ‘young at heart’ and can no doubt still dive like a 19 year old. Given finally retired officially from soccer in January 2016 and is considered to be a legend amongst all the goalkeepers of the game. Post retirement Given is very active in social causes related to cancer, having lost his own mother to the disease when he was just five years old. He plays numerous charity matches for the cause and organizes many fundraising events in aid of the Mamillan Cancer Support. Born as Seamus John James ‘Shay’ Given in Lifford, Ireland in 1976, a very young Given started playing soccer in his father’s front garden. Both Given’s elder brothers and him began playing soccer actively in their youth and it came as no surprise when he was playing for the local Lifford Celtic team at 14. The youngster became the talking point of a crucial match for Lifford Celtic in their FAI’s Junior Cup semi final where Given held his own and saved 3 goals. Within a year he joined Celtic on their professional tour and signed on to play for them by the time he was 16. After a few years at Celtic Given moved on to Blackburn and Sunderland before eventually settling onto Newcastle’s team for £6.38 million fee. These were followed by moves to Manchester United and Aston Villa where he stayed till his retirement. By 1996 Given had gained his first international cap and played a goal in every single match for Ireland during the 2002 FIFA World Cup. His heroics enabled his team to reach the knockout stage. Prior to the world cup he played in the 1998 FA C up final and had to miss out the 1999 FA Cup final due to his injuries. By the time he had retired – for the second time in 2016 – he had amassed 134 caps for his country and kept 52 clean sheets. Given donated most of his earnings to cancer charities and research having seen his mother battle the disease head on. Due to numerous injuries Given made a hasty decision to retire from soccer in 2014 but quickly reversed his decision. He came back to play competitively for two more years before hanging his soccer boots for good in early 2016. Due to surpassing 100 caps he was included in the FIFA Century Club. Shay Given was also honoured by his hometown Lifford by being awarded the Freedom of County Donegal. He was the Player of the Season for two consecutive years in 200-2001. After Robbie Keane he is the second most capped player for Ireland.